The internet seem to have become a free ground where people of all sorts come in to either anonymously or otherwise dump whatever they feel like or wherever they are at a particular point in time, in whatever language they want. There are advantages to this, but also serious disadvantages especially security-wise. This is really true about the social media. Did you ever realize there must be rules guiding how you share and interact on these social media platforms? 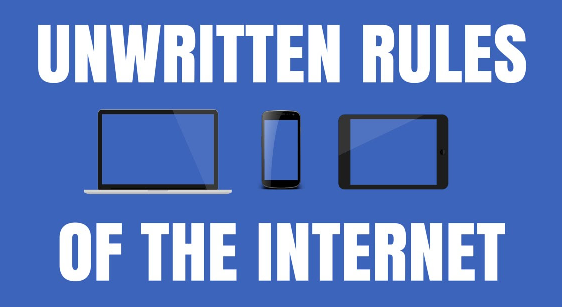 There are in fact unwritten rules guiding internet usage that you probably didn’t know about. 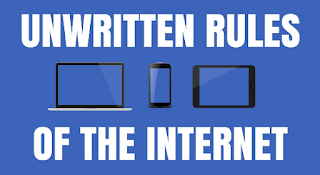 Jumia Travel, the leading online travel agency, shares 6 unwritten internet rules to know. Too many internet users disregard this rule to the ire of those who have to deal with being tagged on pictures they have no idea about or are completely uninterested in. If you think about it, it’s really unfair to carelessly tag people in pictures. If you’re absolutely eager for the person to see a picture, simply mention the person in the comments. The ‘@’ feature was created to serve this very purpose. It’s a waste of time and it’s much like arguing with a brick wall – useless and frustrating. Just ignore them and move on. Let them have their 1 or 2 minutes of fame and be forgotten like the irrelevant features of the internet that they are. The second part is very likely, especially on social media. Your words are very likely going to be misunderstood by one or two people and turned around into something entirely different from what you could have even fathomed. You just have to keep that in mind and try to prepare for it when you post words on social media. In addition, avoid writing carelessly on social media about people or organizations. Write what you mean and mean what you write because the internet is a public place and anyone can call you out on your BS. Be wise. On the internet, people can say anything about anyone in anyway. Some people go as far as commenting on very uncomfortable and awkward aspects of their lives and the lives of others. Just when you think you’ve seen it all, someone comes out with an ‘nkan be’ tale of their experience in this world, and then you start to hear stories of how a person was romanced by a goat into sexual intimacy. There are absolutely no limits here, so prepare yourself. Get ready to see any and everything. It’s as simple as that. Be mature about it and respectfully entertain the other person’s winning argument. Don’t get mad or feel humiliated. That’s just unnecessary. No one knows everything, so just accept it as a lesson that you can actually learn from. Cursing the person or blocking the person for winning an argument is inappropriate and just makes you look silly. Imagine posting about losing a job, a beloved relative or a significant other, and a person hits like on the post. It seems like the person is relishing the misery of the other person. Please be wise and don’t like posts carelessly. Comment where you should and if you have nothing to say, just move on.